Back in mid-June, Space.com had a news article posted on their website titled, "Volcanic Moon of Jupiter Is Smelly and Bizarre." The article was promoting the results of a paper by Arielle Moullet, Mark A. Gurwell, Emmanuel Lellouch, and Raphaël Moreno that presented results of Sub-Millimeter Array (SMA) surveys of Io's atmosphere. 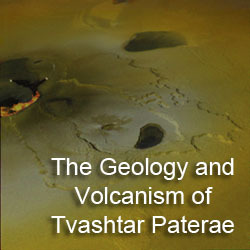 Their observations revealed the presence of the previously observed compounds in the atmosphere like sulfur dioxide (SO2) and sulfur monoxide (SO) and a compound observed for the first time in gaseous phase, sodium chloride (NaCl), which was predicted to exist based on the presence of sodium and chlorine in the Io Plasma Torus. The SMA data also allowed the authors to map the distribution of these molecules, again including NaCl for the first time. Finally, they analyzed the origin of each species, either sublimation from surface frost (the main source of SO2), photolysis from larger molecules (the dominant source of SO), or volcanic activity (the primary source for NaCl). We discussed this paper on this blog back in March, and you can read that entry for more information about the results from this paper. Back to the news article I mentioned at the top. Space.com's reporting generally wasn't too bad. It seemed to focus less on the results of the research than on the importance of it: the need to explain the source of the gases in Io's atmosphere given how small it is. After all, our Moon is about the same size and has a much thinner atmosphere composed mostly of sputtered regolith and outgassed radioactive decay products. Understanding the connection between the atmosphere and Io's volcanic activity seems to be the key, along with how Io's atmosphere interacts with Jupiter's powerful magnetosphere, which acts as a sink for gases in the atmosphere. 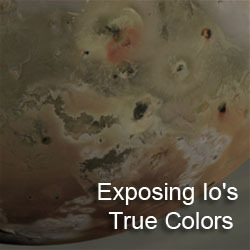 The article also briefly reminds people about Io's active geology and possible future missions that may further explore this question of the source of Io's atmosphere. Where the article goes off track is its description of Io's smell and derives mostly from the sentence, "She conceded the moon isn't a very pleasant place, though, because of the rotten-egg smell of the sulfur gases." On the face of it, I could let it pass since it really feels like a throw-away comment. However, many other sites re-reporting what Space.com wrote, particularly this gem from the Mother Nature Network titled, "Jupiter's moon smells like giant rotten eggs" or this one from the Christian Science Monitor called, "Scientists discover that Jupiter moon smells terrible". These articles focused less on the science of the original paper (though both do provide an overview of the moon for readers who were unfamiliar), and more on that comment about how Io smells like rotten eggs, based on this discovery. Well, let me make it clear lest I am misunderstood. For this purpose, I will employ the caps lock button on my keyboard, so look away if you think you might be offended by its use. IO DOESN'T SMELL BAD. IT DOESN'T SMELL LIKE ROTTEN EGGS. Sorry about that. It had to be done. The known chemical components of Io's atmosphere smell no worse than burnt matches. Sure, the smell of burnt matches may not smell nice say compared to a rose, German Chocolate Cake, or very good barbecue, but I think we can all agree that it is a far cry from rotten eggs or raw sewage. The bad smell that people associate with sulfur actually comes from hydrogen sulfide, not from sulfur, which only has a faint odor. Hydrogen sulfide is produced as a waste product by intestinal and other bacteria and through hydrolysis at volcanic centers on Earth. 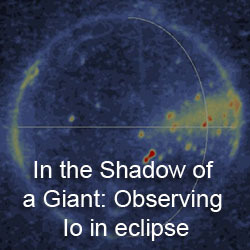 Its presence in Io's atmosphere has only been hypothesized and it has not been definitively identified. It certainly wasn't observed by Moullet et al. Organic sulfides can also have a pungent odor, but those are much less likely to be present in Io's atmosphere. The other component Moullet et al. observed in the atmosphere of Io was sodium chloride, which is just plain old table salt. So again, the story here is the all-to-common failure of science reporting on the web, picking up on unimportant trivia (that in this case isn't true) or more often than not, no fact checking and instead just passing along verbatim either what other websites report or copying press releases. In this case, it just passes along misinformation rather than reporting on the original paper that spawned Space.com's story, thus trivializing its results to merely state that "Scientists discover that Jupiter moon smells terrible". I, thank you re-establishing the truth ! As the author of the mentioned paper, I was depressed to see how the interview was transcripted... and how it was picked up by many media ! I think it is a good example on how "it may be smelly" can become "Io smells like rotten eggs and is not vacation material". I wonder what will be reported once H2S is really detected..